Home / charts / Sam Smith / Sam Smith Scores 6th UK No. 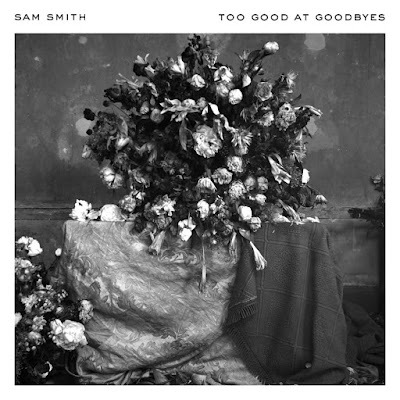 1 Single With "Too Good At Goodbyes"
Sam Smith Scores 6th UK No. 1 Single With "Too Good At Goodbyes"
Sam Smith has scored his 6th UK No. 1 single with his latest track, Too Good at Goodbyes, debuting straight in atop the chart! It follows his singles La La La (with Naughty Boy), Money On My Mind, Stay With Me, Lay Me Down (with John Legend) and Writing's On The Wall. Congratulations! Holding its spot at No. 2 we have Dua Lipa's New Rules and dropping to No. 3 we have Taylor Swift's Look What You Made Me Do! Sam Smith conquista esta semana o seu 6º single #1 no Reino Unido com o seu mais recente tema, Too Good at Goodbyes, a entrar diretamente no topo da tabela! Os seus outros #1 são: La La La (com Naughty Boy), Money On My Mind, Stay With Me, Lay Me Down (com John Legend) e Writing's On The Wall. Parabéns! A segurar o #2 temos New Rules de Dua Lipa e a descer para o #3 temos Look What You Made Me Do de Taylor Swift!